In partnership with Chiaravalle Montessori School and Bulley & Andrews, CannonDesign is pleased to announce that Chiaravalle’s North Wing Addition has achieved LEED Platinum Certification. 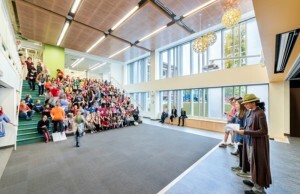 When replacing their 60-year-old gymnasium annex, Chiaravalle Montessori, a PK-8 school located in Evanston, Illinois, a northern suburb of Chicago with a population of roughly 75,000, seized a rare opportunity to design a Montessori building to meet the needs of their Montessori program. Community-based planning served as a catalyst to build student centered learning environments, which celebrate the Chiaravalle community and Montessori curriculum. 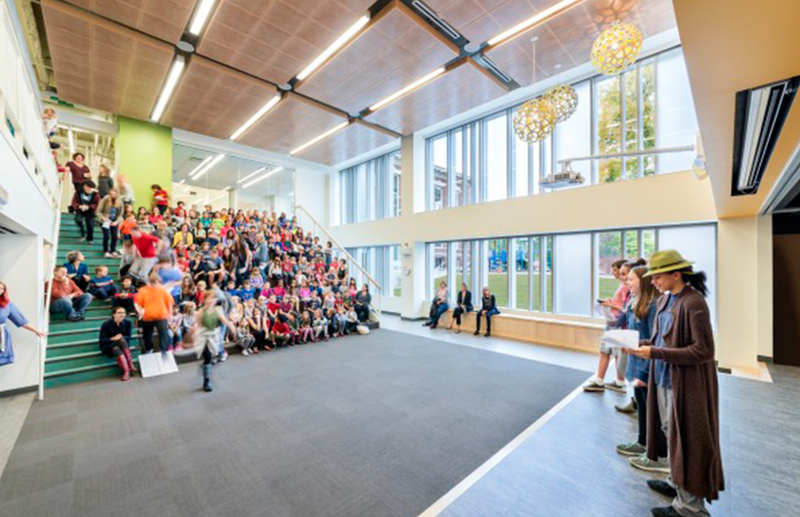 Designed with abundant natural light and a focus on bringing nature inside, the new 19,000 sf North Wing expands Chiaravalle’s programming options in the planned environment, offering more space for movement, collaborative learning, community gathering, and visual and performing arts. The new North Wing provides a central entrance, which offers welcoming spaces for parents and students to mingle. Adjacent “Gathering Stairs” support group and independent time and provide seating for performances and events. The Da Vinci Studio integrates art with science, technology, and mathematics to help students experience the connectedness of these essential disciplines. 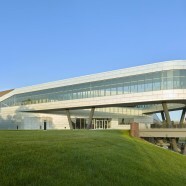 Sustainable features include natural daylighting throughout the building, photovoltaic panels, a green roof that efficiently manages stormwater, and a geothermal system, including a well field of fifteen wells, more than 500 feet deep. 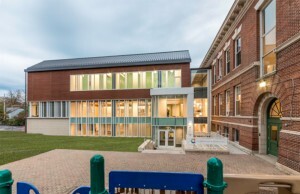 Congratulations to Chiaravalle Montessori, on achieving their goal of becoming the first LEED Platinum Certified Montessori School in Illinois!